~ where people affected by Cystic Fibrosis find clarity. Because there’s been some recent press coverage on stem cell therapy used in patients with Cystic Fibrosis, by the company Regenocyte, I decided it was imperative that I finish up this post now. At the request of a doctor at my CF Clinic last year, I was encouraged to look into Dr. Zannos Grekos, the main doctor behind Regenocyte. Apparently, Dr Grekos had contacted my clinic in order to get some information and medical records on one of my fellow patients. Well, let’s just say things didn’t smell right to the CF doctor, and Dr. Grekos’ request was denied. This is only the first stem cell patient he’s allegedly killed. Another patient, just two years later also died after a similar procedure, while the doctor’s license was under restriction and practicing stem cell therapy was strictly verboten. That case is still under review. Early in his career, while he was an employee of a hospital, he was sued for medical malpractice after a patient died, who, as prosecutors argued, could have been saved if Dr. Grekos had chosen to act sooner to repair the damage from a failed procedure he performed. The case was settled for $600,000 out of court in 2001. Nonetheless, he has developed an almost cult like following of patients with debilitating conditions such as heart and lung failure with his stem cell therapy. Dr. Grekos began his stem cell career at TheraVitae, a Bangkok-based profit scheme that offered processed autologous bone marrow cells for heart and vascular repair, founded by Don Margolis (more on him later). While there, he was part of a team of investigators that conducted a trial in Thailand which showed patients’ ejection fraction (a qualifying measurement of heart function) improved by approximately 20%. I do not doubt the sincerity of patients who believe they have been helped by stem cell therapy, but there is an enormous placebo effect in almost all of these cases. I have looked for the scientific efficacy of this approach, and can find none. The procedure costs $15,000-54,000 (according to Regenocyte—CNN and other sources have reported as high as $64,500) and only the preliminary blood draw is covered by insurance. The patient will also need to travel to Santiago, Dominican Republic for the procedure. Regenocyte claims part of that cost is for the cells to be hand couriered to their lab in Israel, and back to the Dominican Republic. However, in at least one case, records show the patient’s blood was sent to a lab on the east coast of Florida. 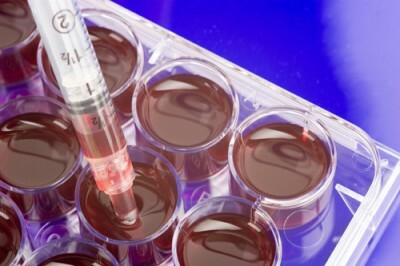 For a typical procedure, a sample of the patient’s blood is sent to Israel for cultivating the stem cells. The blood is spun and filtered through a centrifuge, and the stem cells are given a “Growth Factor” to multiply them. When ready, the patient would travel to the Dominican Republic and Grekos’ partner, who was trained in Regenocyte’s proprietary catheter methodology, (Dr. Grekos is not licensed to practice in the Dominican Republic) would inject the stem cells into the patients damaged heart muscle, lungs, or circulatory system. This admission is probably due to pressure from critics who say that Dr. Grekos is “simply wrong”. Leading thinkers in the field do not have nice things to say about him. “There is no such cell. There is nothing called a regenocyte….As a stem cell scientist who works in the field of regenerative stem cells, I am disappointed and shocked that somebody would prey on a family that has an untreatable disease with the promise of a therapy that has no scientific or medical basis,” says Dr. Irving Weissman, president elect of the International Society for Stem Cell Research. Neurobiologist and stem-cell innovator Hans Keirstead of the University of California at Irvine calls commercial stem-cell clinics like Regenocyte “deplorable.” “It’s absolutely terrible. They’re taking advantage of people’s need,” he says. Intercellular is the re-branded name for Regenocyte, where Dr. Grekos appointed himself Chief Scientific Officer, and named a different registered agent and COO in the incorporation documents with the state. This may be to protect him from charges of practicing stem cell therapy. Dr. Grekos is pretty well practiced in filing incorporation papers too, as it turns out. In addition to his cardiology practice, he also finds time to own and run a popular Greek restaurant (which has been cited for health code violations including hand washing violations), a boat fixing business, and a tax-exempt Greek Orthodox Church, among others. He’s registered documents under his name for at least 18 corporate entities with the Florida Department of State. 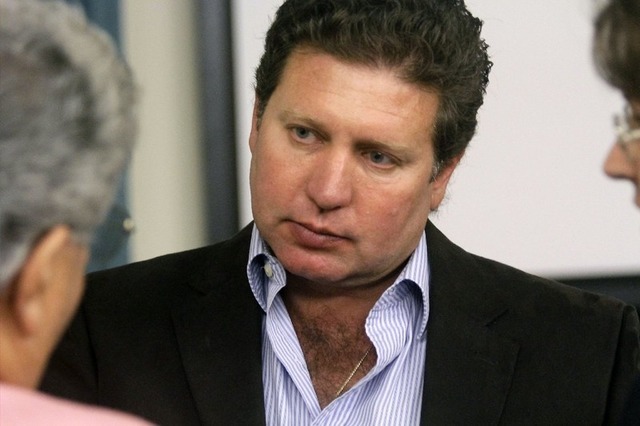 He manages or managed a variety of real estate ventures with his wife, from which they have made themselves multi-millionaires, including Gawn Fishin’ whose controversial plans to build a marina and condominium resort on protected land, ultimately failed. The man’s resume, on first glance, is pretty impressive. However, after doing a little digging, I found some questionable claims. On his website, his bio states that he is a “Clinical Assistant Professor for Nova Southeastern University.” I can’t say outright this is untrue, but he’s certainly not listed in any faculty directory for NSU that I found. I checked Bachelor, Master, and Doctorate Programs at several different colleges within the university, including: medical science, health science, osteopathic medicine, pharmacy, and arts & science. He also states he is a “distinguished Master of the American Academy of Cardiology.” In some documents he prefers “distinguished Fellow of the American Academy of Cardiology”. This is a deceptive, made up, and paid for title. The American Academy of Cardiology is a phony organization trying to sound like American College of Cardiology. The difference being that a Fellow (F.A.C.C) and Master of the American College of Cardiology (M.A.C.C) is a real and honorable distinction issued to peer-nominated candidates who’ve proven their merit. The other is the slick workings of Rev. Dr. Keith A Lasko, who, from the address of a UPS store on his letterhead, will issue a certificate with this CV (stands for Curriculum Vitae- like a doctor’s resume), M.A.A.C or F.A.A.C distinction for $300, and who is currently wrapped up in an anti-trust lawsuit against the Board of Surgeons. In similar fashion, my attention was drawn to a certification on his resume which states that he’s a diplomate of the American Board of Medical Examiners. As far as I know, that’s not a thing. The National Board of Medical Examiners, is an old and legitimate US organization, whose exam is sponsored by the Federation of State Medical Boards, and must be passed by any MD before practicing medicine in the US. Perhaps he made a mistake in writing it, or perhaps he means what he says, and is trying to pull the wool over unsuspecting clients’ eyes. Additionally, he writes that he was, “Recently appointed to the science advisory board of the United States Repair Stem Cell Institute.” The Repair Stem Cell Institute is a lobbying group founded by Don Margolis, the same Don Margolis who got Dr. Grekos in the stem cell biz. I cannot verify all of it, but there are many allegations, of Margolis being a scammer, and of selling patient information to stem cell clinics, such as Grekos’. 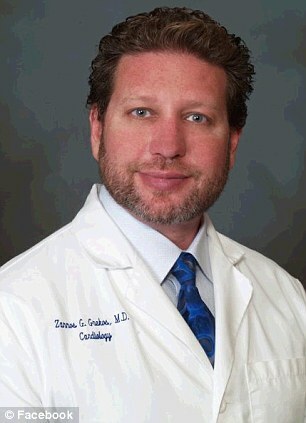 He claims to have severed ties with Dr. Grekos after Dr. Grekos lost his medical license, though some people assert that Grekos stopped paying him for referrals after uncovering that the cells are processed through an intermediary company, Regenecell, which is owned by none other than Margolis and his son, who goes by a pseudonym allegedly to avoid law enforcement. They are still friends, and a quick peek at his Facebook page shows that he subscribes to “Big Pharma” cure suppression conspiracy theories and is also anti-vaccination. Back to Dr. Grekos track record, aside from the first malpractice suit he settled in 2001, his problems really began in 2010 when the first stem cell death occurred. In 2011, Florida State Department of Health issued an emergency restriction on his license and told him not to do anything with stem cells. Not long after that, the father of a 5 year old Texas boy wired $57,000 up front to Regenocyte’s Dominican Republic account for treatment of the child’s Primary Pulmonary Hypertension. Despite the boy weakening by the day, the treatment was never scheduled. The boy died without ever being seen at the Bonita Springs clinic. They waited 3 months after paying but never got the call to come to Florida. The father received only a $10,000 refund. The family claims they were never told Grekos’ license was in restricted status. Then, in March 2012 his medical license was suspended when he violated the DOH order and did a stem cell procedure on another patient, who also died. In the beginning of 2013, less than two months from Dr. Grekos’ hearing, his defense lawyer backed out and resigned the case saying he had “good cause” but would not elaborate. 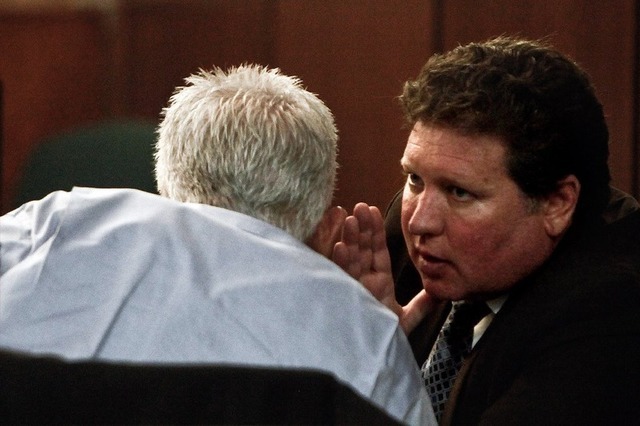 Later, the expert witness who testified on his defense’s behalf sued Dr. Grekos for non-payment of his fee. The medical license was not the only thing he has lost, either. Dr Grekos has had multiple vehicle offenses, and has been charged with careless driving and driving with a suspended license. I include this information not as an ad hominem, but as relevant character insight. In 2006, with $300 in unpaid tickets, he hit a car turning left out of a Taco Bell at 70 mph in his 1972 Ferrari. The accident put two people in intensive care. Clearly, he thinks he does not need to comply with the rules imposed on him by governing bodies. Perhaps it is not updated, but Regenocyte’s website still claims that Grekos is board certified, with extensive experience in the field of stem cell therapy. And that their therapy is highly effective, and presents minimal risk. I guess this is ignoring the two deaths already. A Second Chance-(Offer hope for the hopeless). Natural-(Body’s “natural regenerative potential” is superior to temporary or artificial fix). Safe and Effective-(Except that there’s no quality evidence to say that, and is quite insulting to the memories of the two dead patients). Positive side effects -(Flowery language about reactivating the healing process where the body would not have done so voluntarily). Proven Results– (claims clinical results positive, and that no patient has responded negatively-again excluding the two dead patients, oops). Of course, he advises patients that they are supposed to continue their regular prescribed treatments after therapy, making it difficult to assign credit to the therapy. He also warns that patients may not see any difference for 6 months or more, and may need multiple treatments. This all sounds extremely dubious, and the kind of lines fed to you by ‘holistic’ pseudoscientists. As is consistent with these “Brave Maverick” type doctors, the “establishment” is out to get him; persecuting him for his genius. Or so he believes. Dr. Grekos really displays a lot of the critic-dodging delusional narcissism common in quacks like him. He claims he is on the cutting edge of medicine, and that history will look favorably upon him. When asked to provide evidence for his claims, he shrugs off the importance of empirical evidence, peer review, and safety trials, citing the numerous testimonials from his patients, and the urgency of treating those with progressive diseases. He claims he is collecting data from his procedures and has been in contact with a Florida hospital to independently review his findings, but that hasn’t happened yet. He also claimed that by 2009 he would submit his findings to the FDA, but he’s too focused on healing people with degenerative diseases to waste time and money “proving himself to the scientific establishment.” More truthfully, the FDA will simply not accept data from a physician if the doctor has a financial interest in the outcome. To be sure, he does have a financial stake. A huge one. The Regenecyte website says they have treated over 200 patients. At a cost of around $54,000 a patient, that’s 10.8 million dollars his company has made in gross revenue. Ironically, the FDA, in 2005, reclassified autologous stem cells that are manipulated by growth factors or other compounds as drugs, in order to have the same double-blind multistage trials in order to protect patients from ineffective or perilous stem-cell therapies. And most scientists agree this was a good idea. However, Grekos counters that it’s all an elaborate scheme for Big Pharma to line its pockets with new patents. It may be no coincidence that 59% of his patients are between the ages of 65-79 and originate in Florida. There are a lot of rich retirees down there, who may be very trusting consumers in the health and wellness business. I realize this is inferring something without evidence, and I apologize for not sticking to facts here, but at the same time, I can’t ignore the fact that Dr. Grekos has made himself very rich on credulous claims. This is why it’s so important to educate yourself in scientific reasoning, to protect yourself from self-chosen messiahs with nothing to offer you but false hope. You see, when a doctor truly believes s/he has made a break through discovery in medicine, s/he doesn’t incorporate a for-profit private business to proprietarily treat patients for the accumulation of their life savings account. They carefully, meticulously put it through trials and record every data point, positive or negative, and submit it for review from other research scientists, and to the FDA for approval. They want to share that information far and wide to help as many people as possible, not keep it to themselves as a business opportunity. There’s nothing wrong with making money, but without the scientific method, there can be no self-correction or progress made in actual treatment options. Zannos Grekos is a gunslinger taking advantage of an unregulated medical technology market. Stem cells are an important field of research for the future. They have been used successfully in the treatment of leukemia for decades, and adult stem cells like Dr. Grekos advocates do show great potential in regenerative medicine. What makes Dr. Grekos so dangerous, in my opinion, is that he is taking advantage of the public’s awe and mystery surrounding this futuristic treatment to sell his very own brand of snake oil under the guise of caring about patients, when the government or conventional medicine lets them down. He’s clearly a very savvy businessman, as evidenced by his multiple successful enterprises and gold chains. He may have even had altruistic intentions. But Regenocyte has yet to show objective data for the miracles they claim to perform. And that’s why I felt compelled to write this post.